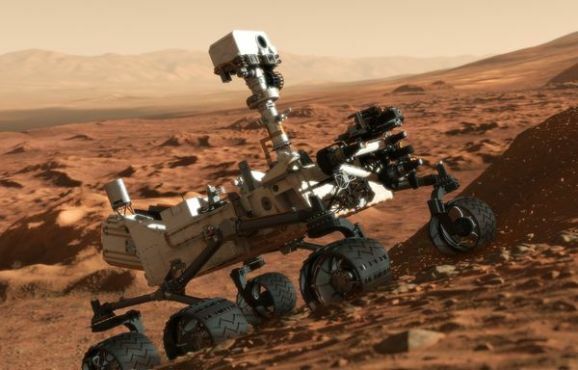 You or your team (no more than 3) will review the 3 landing site finalists for the next Mars Rover scheduled to land in 2020. You will determine which of them to be the final choice. You will produce a persuasive powerpoint / prezi / google doc / slide that tells the class why you would choose this region as the preferred landing spot. This is not an easy choice, the science objectives must be met as best they can. Assign each person a particular science objective to focus on for each region. That person will be the Science expert for that objective. In your presentation you need to list WHO did WHICH objective. I’m NOT looking for a pretty powerpoint… I don’t care about the design at all. The information is the most important thing. Please invest your time in making decisions based on your research. You have 2 class periods to finish this, this will be the last grade of this six weeks. You can’t simply look at a picture and make a decision. You will need to thoroughly think this out with your team and detail which science objectives can be met based on information you research about that region. I will not tell you what to research, all I can say is that your grade will certainly be better if you account for as much as possible and reach reasonable assumptions that target the science objectives.